I love the concept, this is a dream for the target market. I love their approach, how they have thought of everything that will make the device amazing for gamers. 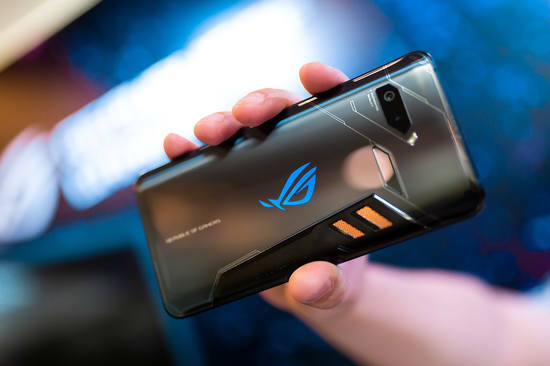 ASUS ROG Phone: Now THIS Is a Gaming Phone! ASUS' Gaming Phone Looks AWESOME ! Asus ROG Phone Vs Razer Phone - Best Gaming Phone ? Hopefully we see more devices like this in the near future, I believe we will though as more OEMs try to further differentiate themselves. Very beautiful phone , I like it. 2. Custom Snap 845 - tested by Qualcomm on 3Ghz. 7. Portable Dock - hub for connect to keyboard , mouse , TV and others. Did you notice the hairs on this guys arm standing up?! Mine where after viewing these specs. Insane! !